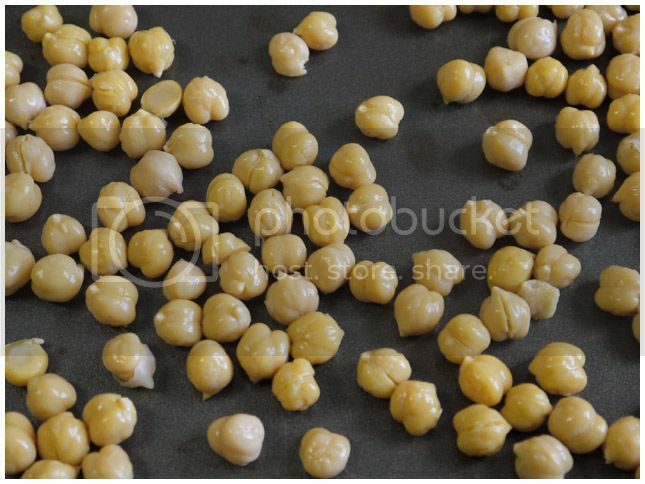 A while ago (like a month or two) I bought a can of garbanzo beans (also known as chickpeas) with the intention of making them into a delicious salty snack. As with most things I intend to do, I completely forgot about them. But now I've remembered! 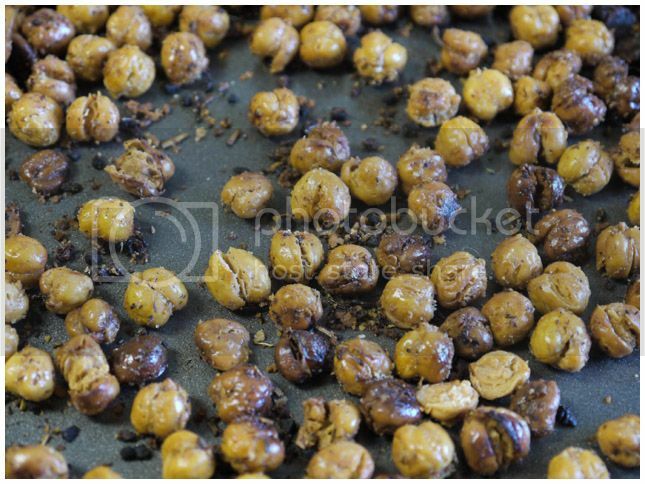 So here's my version of seasoned roasted chickpeas! Gather your ingredients. 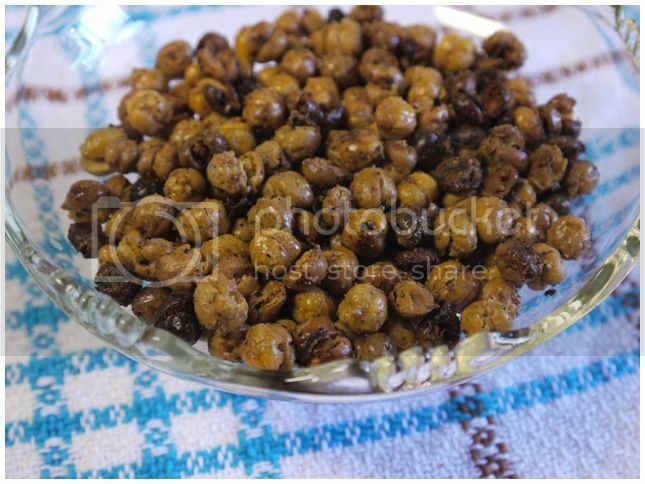 You can season your chickpeas with pretty much anything you want. 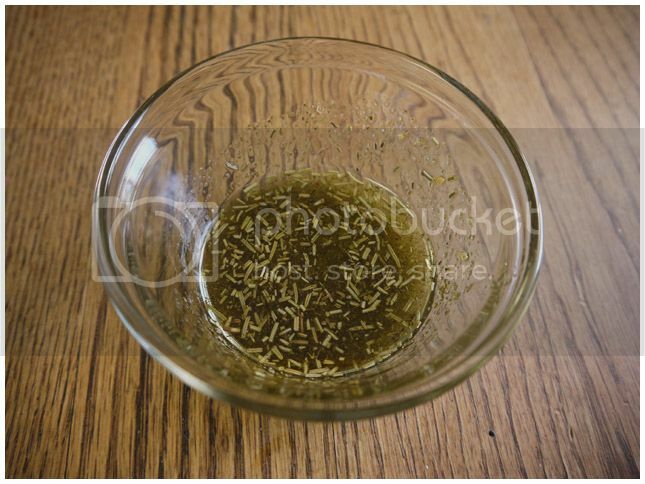 I chose to use a bread dipping blend I had on hand since I know I like the flavor combination it creates. 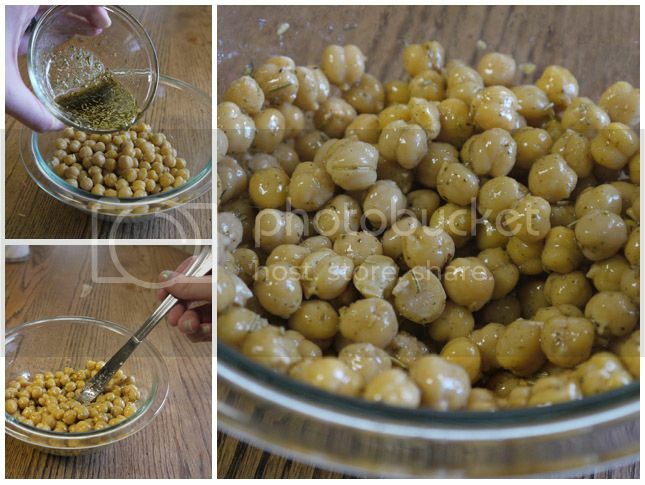 Other than seasonings, you need a can of chickpeas and some olive oil. 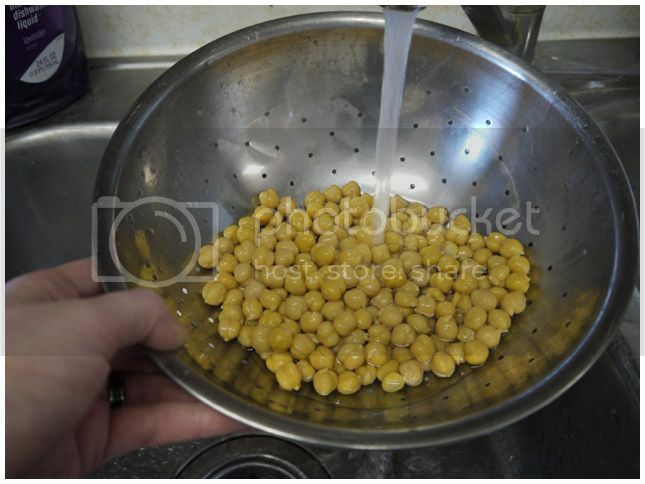 Strain away the liquid from your chickpeas and then rinse them. You can leave the skins on or take them off, whichever you prefer. I pretty much hate skin on anything, so I removed the skins one by one. 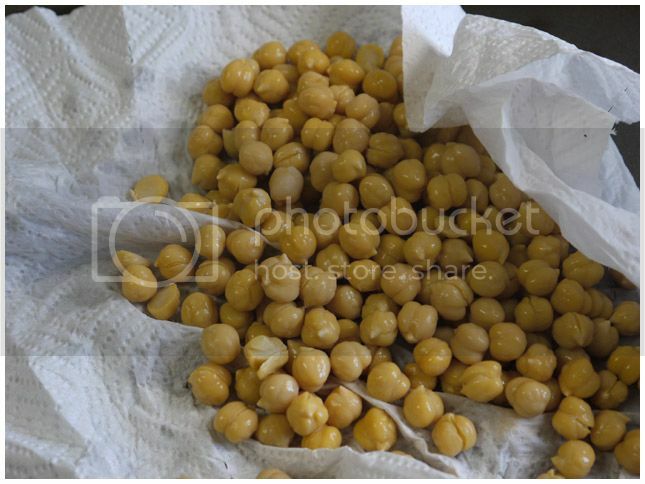 Dry your chickpeas. 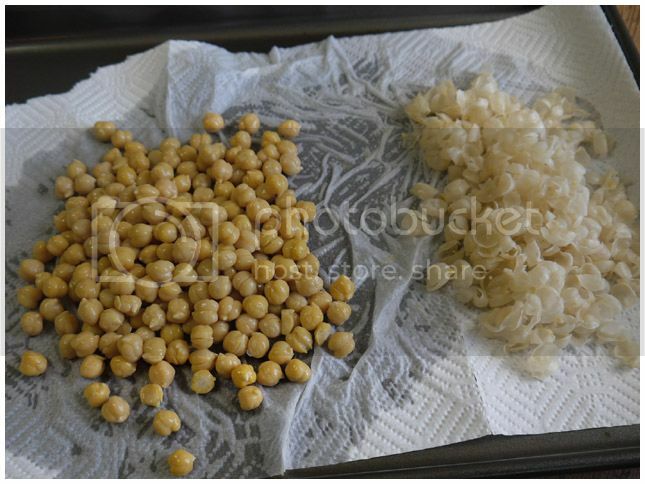 I towel dried them and then spread them out on a cookie sheet to let the air dry. 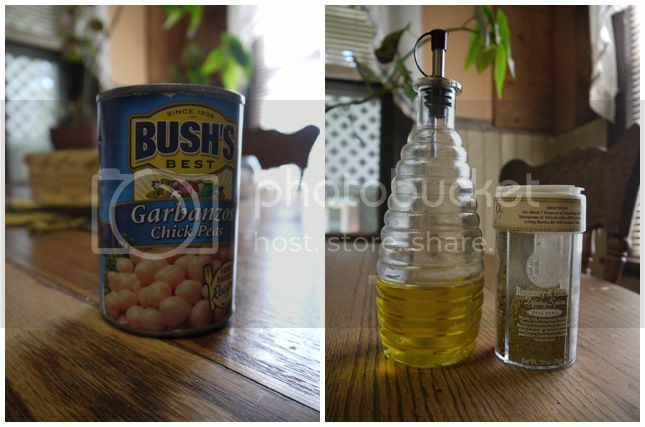 While the chickpeas were airing out, I mixed the olive oil and spices together so that the oil could get good and flavorful. 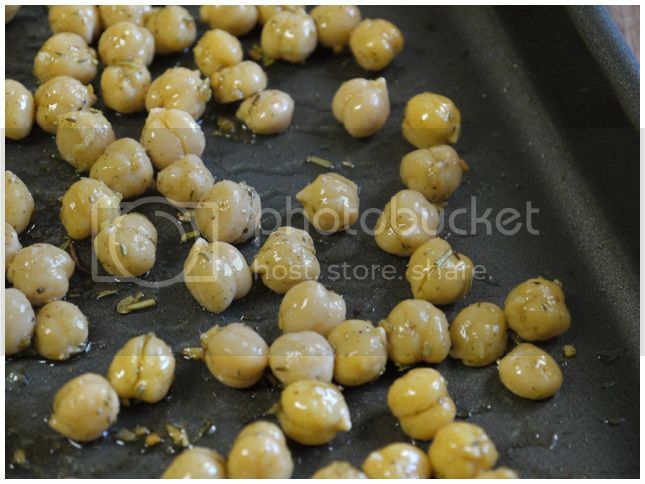 When the chickpeas are dry, toss them with the seasoned olive oil until they are all nicely coated. 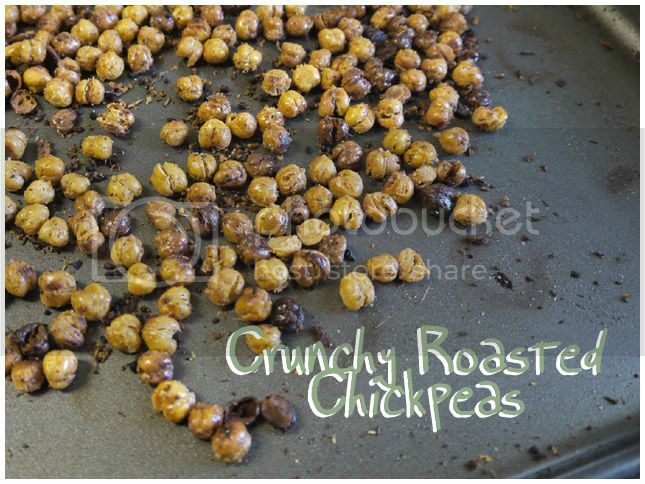 Spread them out in one layer on a cookie sheet. There should be plenty of room so they don't need to be touching at all. Pop them in the oven until they look crispy and delicious. All the recipes I saw said to cook them for about 45 minutes, but mine were only in for 30 and they were already starting to burn a little. So I'd suggest checking on them every once in a while. I stirred mine up a bit at 20 minutes, just to make sure they all cooked evenly (but they still didn't). Also, when they first started cooking, it sounded like I was making popcorn. I have only made these once so I can't say for sure, but I imagine it is normal? 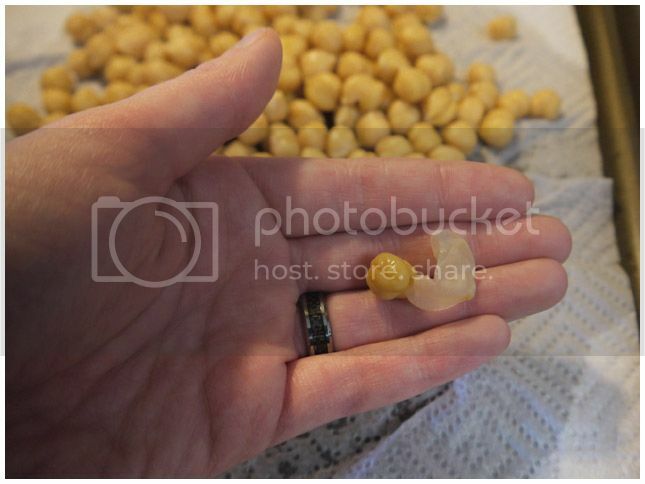 Only one of the popping chickpeas ended up on the bottom of the stove, so it didn't really affect anything.